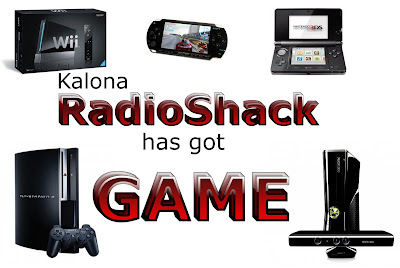 Come see the friendly folks at your Kalona RadioShack. We have a full selection of video game consoles and accessories. Xbox 360, Playstation 3, Wii, and more! We carry all popular handheld gaming systems including the new Nintendo 3DS! The first 3D gaming unit without the need for glasses! The Shack has your back!